One of the region's forgotten stations, Harts Hill opened on the ex-OWWR line linking Dudley with Stourbridge under GWR ownership in 1895. The end of the Nineteenth Century saw investment by the GWR in the perceived lucrative area of the Black Country that didn't eventually materialize in terms of passenger numbers. 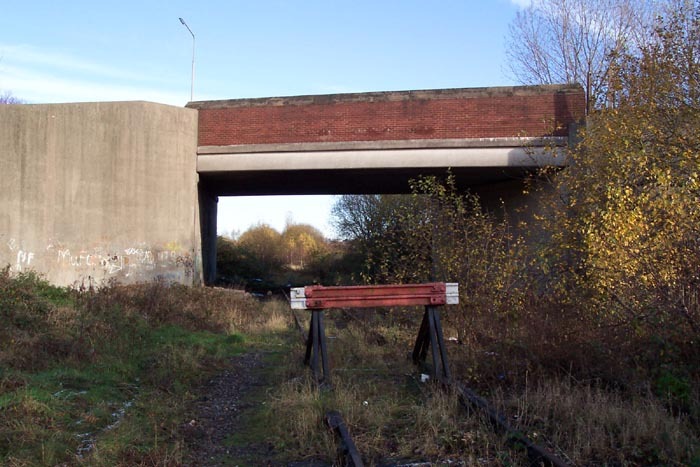 Harts Hill was opened under that misjudged optimism on a line opened in 1852 just a short distance from Blowers Green, itself a late comer to the line in 1862, and the junction with the 'Bumble Hole line' opened in 1878. 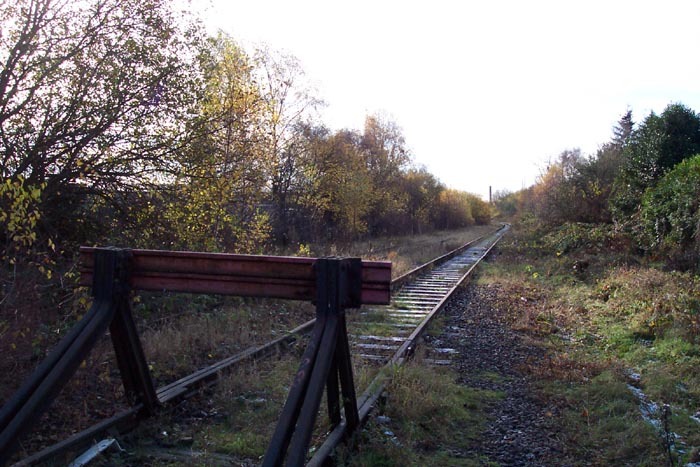 Harts Hill, however, fared far worse than those of the 'Bumble Hole line' and only kept itself open to passengers for 21 years, closing during the First World War in 1916 never to reopen. It appears that its shelf-life was of such a short time that the station failed to attract the attention of railway photographers of the period as I have been unable to locate a period shot. 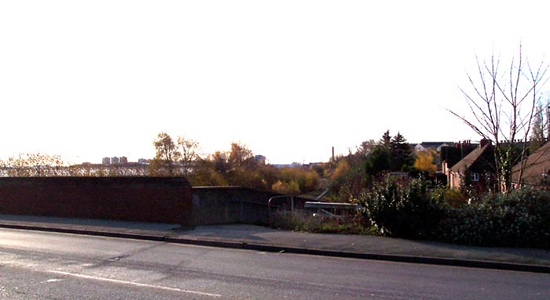 Above we are looking to the site/entrance to the station from Highgate Road. It is, however, important to remember that we have no period image to judge the present site against and that Highgate Road has been turned into a dual carriageway with its bridge renewed to accommodate such since the days of the station, and that the road has been realigned so other than the trackbed itself it is not possible to precisely state where the platforms and/or station booking hall stood. 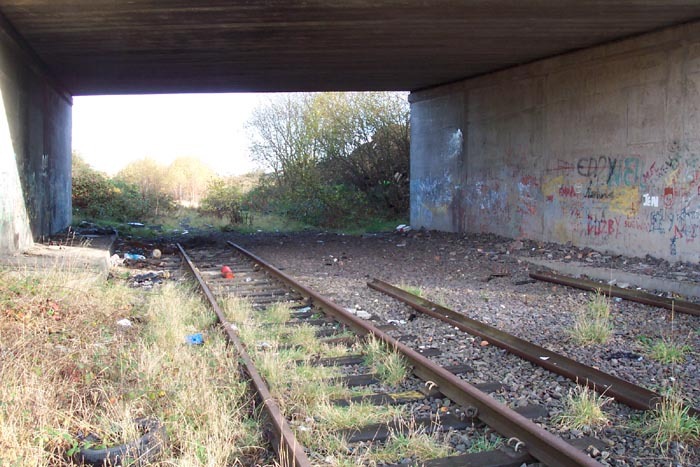 In spite of the above difficulties, a 1960s A to Z shows the station position and marks it as a hollow 'dot' indicating it is still a functioning site but not for passengers. From this we can surmise that the site lived-on for goods purposes until the mid-1960s (it had disappeared by a 1970 map I have). Unfortunately, as with the lack of photographic evidence, the station also failed to ignite the interest of railway historians who only seemed to acknowledge the station, if at all, in passing. Above-left we are looking down at the station site from Highgate Road: I was quite relieved to see some railway evidence in situ after walking aimlessly around the 'Bumble Hole line' earlier the same day. Above-right we are still on Highgate Road but looking in the opposite direction towards Blowers Green and the impressive, and still standing, Parkhead Viaduct (see the 'Misc' page). Above-left we are at track level at the station site itself looking towards Round Oak. As can be seen, the lines from here to Round Oak are still in place and a buffer stop ends the up line ahead. 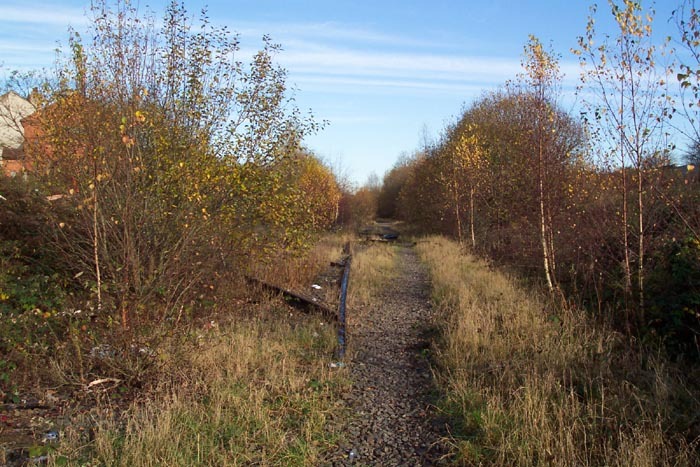 I assume that this line is now used as a siding for trains engaged in work at the Brierley Hill Iron Works. 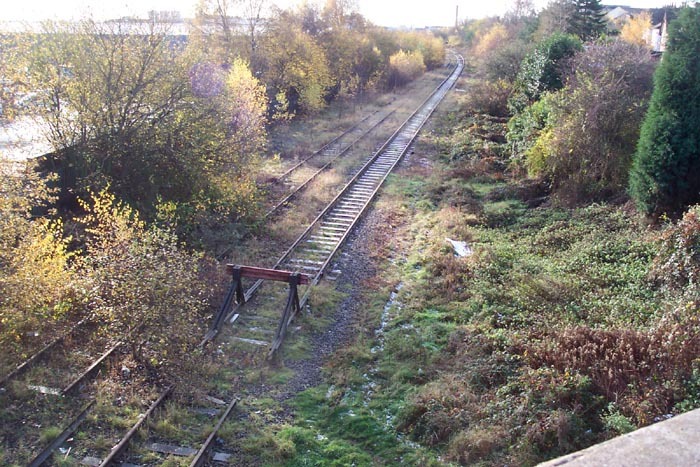 No trace appeared to remain of platforms at the site, or anything else indicating a station had once stood at this spot. Above-right we are looking in the opposite direction through the Highgate Road overbridge. Above-left we are in the mouth of the Highgate Road bridge and can see that the track quite literally ends here. 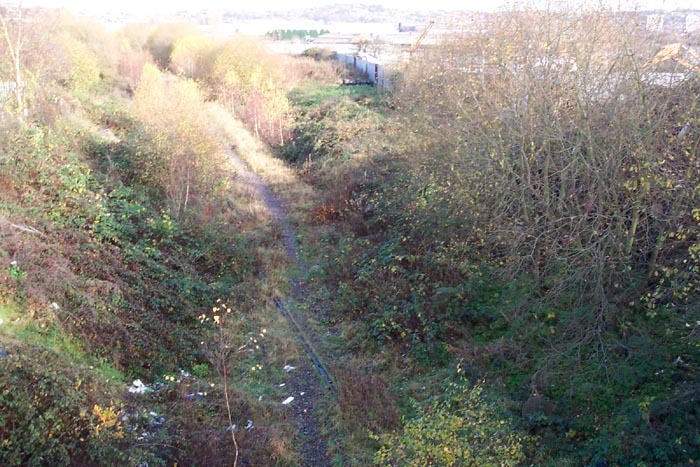 Above-right we have walked through the bridge and can see pieces of removed track now strewn over the trackbed as the route heads off towards Blowers Green. I was not really expecting to see much evidence of the station at this site and I wasn't disappointed!